Eagle Wings Academy exists to provide a specialized and safe environment, where students can optimize their social, emotional, and educational potential in order to become confident individuals, who can embrace the future. 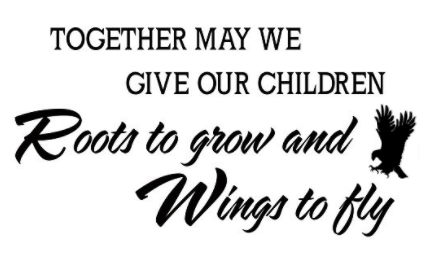 By providing an environment that facilitates positive learning experiences through staff, parents, students, school districts and the community, every individual touched by Eagle Wings Academy will be able to set an example of compassion, integrity and confidence, impacting the communities in which they walk, from a circle of friends to society. - Located in Jacksontown Ohio. Willing to make a positive contribution to achieving the vision of Eagle Wings Academy. Evidences successful performance in previous employment. Valid Teaching Certificate in the State of Ohio. Strict adherence to confidentiality guidelines. Eagle Wings Academy is seeking an Intervention Specialist. Eagle Wings Academy is seeking qualified candidates for the role of Classroom Support. Consult with the Teaching Staff to assist in managing the emotional needs of students. Perform regular communications relevant to enhancing or improving IEP’s and/or students overall performance. Dynamic, adaptive, innovative, insightful, and open to student communications. Provide an environment that is conducive to learning and appropriate to the maturity, interest, and abilities of students.